Berger has selected Meltag® as it’s marketing and sales promotion automation partner to design and execute its sales promotions. Meltag® platform will be enabling the mobility based loyalty programs for painters and paint retailers who are the key influencers for the brand sales in wholesale markets. Nurturing loyal painters and architects through creative instant-gratification / incentive schemes such as instant mobile recharge, workers compensation insurance, daily tips, etc. 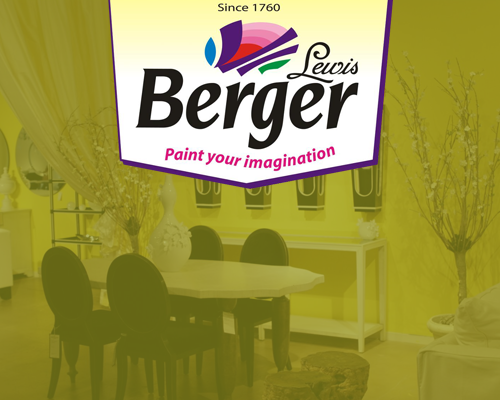 Berger Paints India Limited, headquartered in Kolkata, is India’s second largest decorative paint company. Since its inception in the year 1923, Berger has grown steadily to $550 million USD sales in 2013-14, and serves the market through a distribution network of 82 stock points and 12,000+ paint retailers. With this win, Meltag® will be the retained marketing & sales promotion partner of the top 2 Paint Companies of India (Asian Paints & Berger) contributing to about 72% of market share.